In our view, this new bill – which is targeted at the small/mid-cap banks – creates a more conducive regulatory backdrop for consolidation within the U.S. mid-cap banking sector (i.e., assets below $100 bln). This, along with recent corporate tax rate cuts and a favorable operating outlook, is likely to drive an acceleration of mid-cap bank M&A, a trend that has persisted in varying degrees since 1982. The most significant provision of this legislation is the increase in threshold for regulatory oversight (notably CCAR1Comprehensive Capital Analysis and Review is an annual exercise by the Federal Reserve; read more at bottom of article and the stress test) to >$250 bln in assets from >$50 bln in assets earlier. We believe the $50 bln asset threshold was a key deterrent to bank M&A due to increased compliance costs for the merged entity, slow regulatory approvals and added uncertainty from CCAR and the stress test. The legislation also eases capital, lending and trading rules for small banks (those with <$10 bln in assets), which we believe could also facilitate sector consolidation. With the Senate passing the bill with bipartisan support in mid-March, optimism regarding the successful passage of bank reforms rose significantly. Then, with the anticipation of successful passage through the House (and the President signing into law), three bank deals were announced. A week before passage, Texas-based Cadence Bancorp announced its plan to acquire Georgia-based State Bank Financial (deal value of $1.4 bln). In the days preceding the bill being signed by the President, Texas-based lender Independent Bank purchased Colorado bank Guaranty Bancorp (deal value of $1.0 bln), and Ohio-based regional bank Fifth Third Bank announced the acquisition of Chicago’s MB Financial (deal value of $4.7 bln). Of note, FITB was the only large regional bank participating in these transactions and saw its stock punished – falling ~8% on announcement. We believe that the sub-$5 bln deal values and healthy deal premiums (valuations range from 2.8x-3.2x TBV and a ~15% premium to pre-announcement closing price) indicate management’s expectations for an easier regulatory backdrop, strong operating and policy outlook for the merged entity, and increased competitive intensity in a robust U.S. economy. In the past we had generally assumed an acceleration of U.S. mid-cap bank consolidation would most likely be a 2019 theme. In the past 5 years, there have been on average 15 public bank mergers each year. However, with the passage of this bill, we expect M&A activity to materially accelerate by the end of this year. With over 500 U.S. mid-cap financials – and over 180 mid-cap banks – the U.S. financial sector remains fragmented and should continue to consolidate (i.e., those with market caps between $0.5 bln and $20 bln). With such a large investable universe, we believe there is significant opportunity to construct a portfolio with exposure to higher economic growth regions/MSAs (and higher revenue/earnings growth) and with more favorable attributes, including higher rate sensitivity, and M&A potential. Hamilton Capital offers three different ETFs with varying degrees of exposure to this secular theme – Hamilton Capital U.S. Mid-Cap Financials ETF (USD) (HFMU.U), currently has positions in over 40 U.S. mid-cap banks, the vast majority with assets below $100 bln (note, HFMU.U had exposure to both IBTX and GBNK). The Hamilton Capital Global Bank ETF (HBG) currently has positions in ~25 U.S. mid-cap banks. Given the sector’s relatively low dividend yields, the Hamilton Capital Global Financials Yield ETF (HFY), has lower exposure to U.S. banking (~7 positions). All three Hamilton Capital ETFs maintain significant overweight positions versus their respective benchmarks. 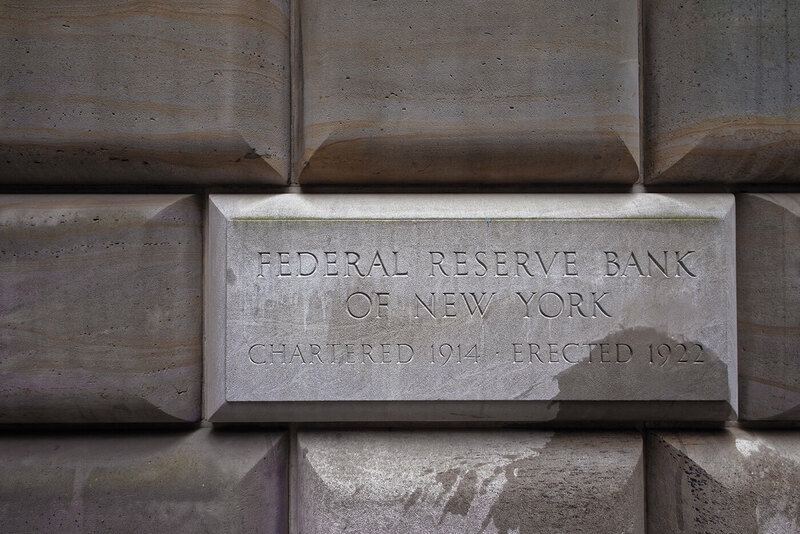 2 The Federal Reserve will vote on proposed changes to the Volcker Rule on May 30th.